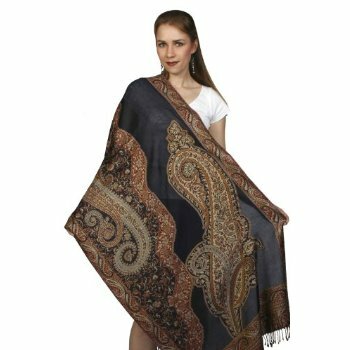 Wool scarves in Paisley pattern are very unique , you can drape it on your body and it gives you an elegant look. The other main role for wool shawl is strongly needed for cool season. 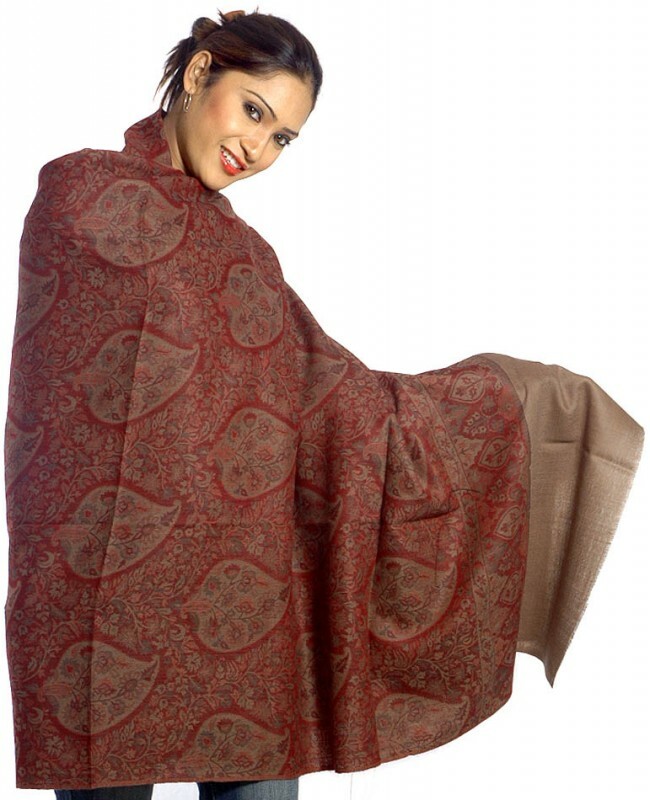 In India shawls are worn for added warmth and fashion at outdoor or indoor evenings. 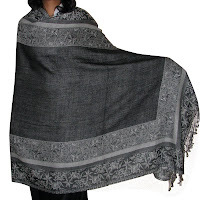 Check out these fine shawls in attractive designs. These elegant woolen shawls are available in a variety of designs. Paisley is a droplet-shaped vegetal motif, similar to half of the T'ai Chi symbol, the Indian bodhi tree leaf, or the mango tree. The design originated in India and spread to Scotland when British soldiers brought home cashmere shawls. From roughly 1800 to 1850, using Jacquard looms, the women of the town of Paisley, Scotland adapted the design and wove woolen shawls, hence the design is popularly known as the Paisley pattern. 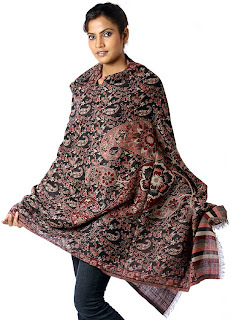 Changes in fashion led to the demise of the shawl bringing hardship to the weavers in Scotland and the originators in Kashmir. 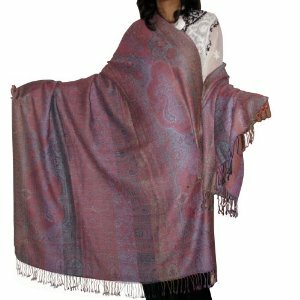 "Antique Shawl Wool Jamawar Style Ladies Wrap"